You can win BIG as we trek the globe in pursuit of the best tasting clementines from growing regions all over the world! From Chile to Morocco, Darling Clementines® are grown on all corners of the world to bring you only the best tasting fruit out there! Are you ready to explore with us? Fill out the form to the right and enter to win a prize pack featuring some of our favorite travel accessories so that you can plan your next adventure. Plus, five other winners will receive a $100 gift card! There are so many chances for you to win! 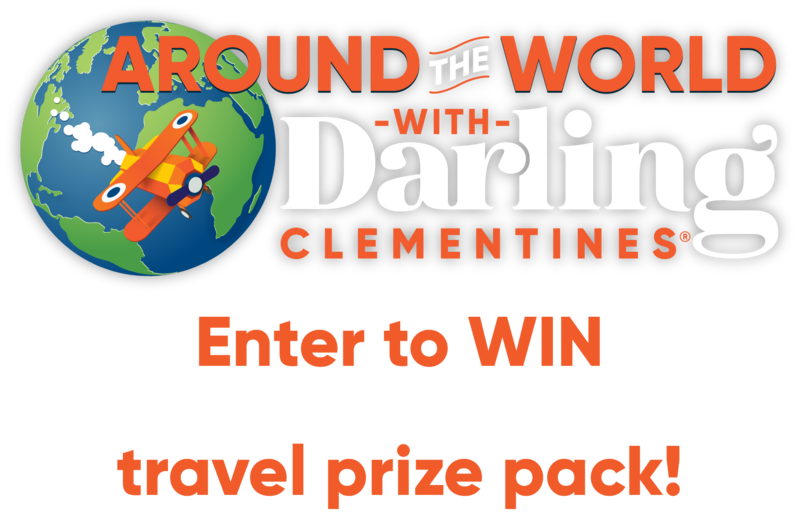 Pack your bags and come with us Around the World with Darling Clementines®!